Vintage inspired. Sparkly. Affordably-priced. Need I say more? 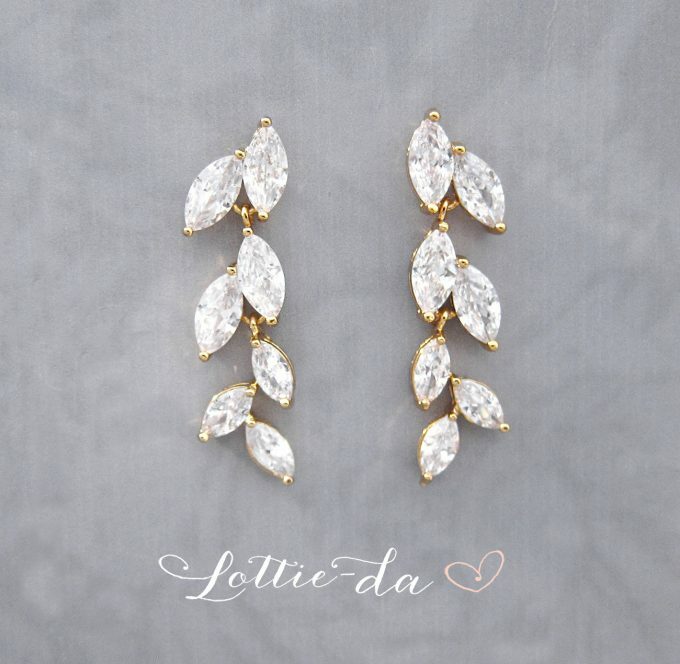 These marquise earrings we spotted at Lottie-Da Designs are becoming an instant hit for brides, bridesmaids, moms, and everyone who loves style. I mean, get a good look at these earrings; I want one in every metal finish! 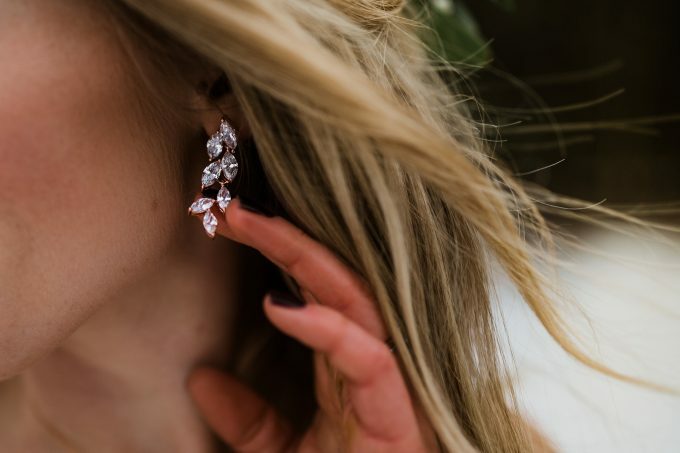 Inspired by the 1920s Gatsby era — and speaking of, we need a 2020’s Gatsby fashion revival — these vintage marquise-shaped clear crystal earrings are a beautiful wedding day choice. The three leaf design segments are perfect for framing your face, while allowing light to pass through the open setting. 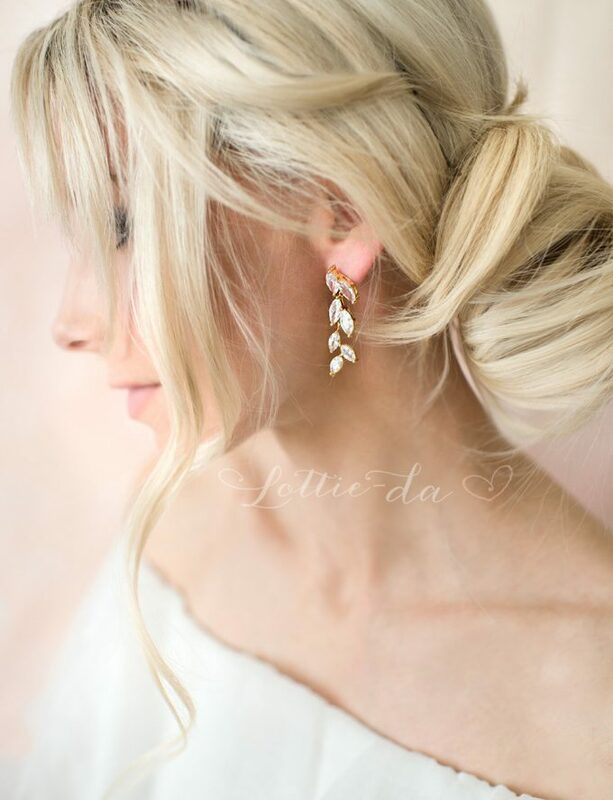 If you’re a bit worried of a long dangle earring style, as in you dont-normally-wear-that-so-youre-unsure-to-jump-first-feet-in, don’t worry. 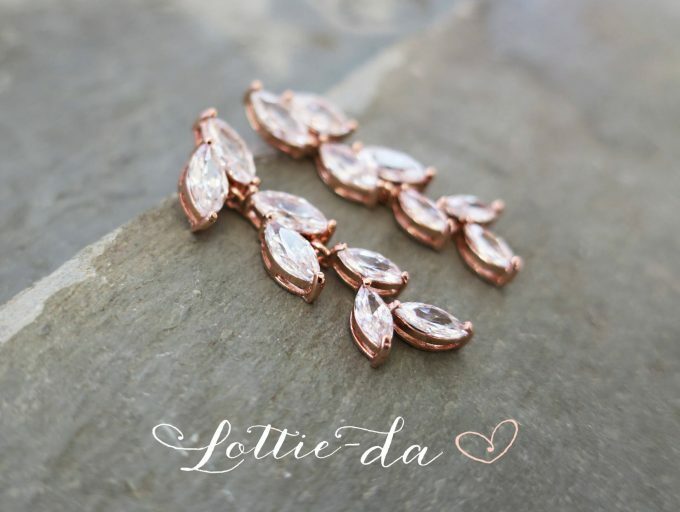 There are two dangle lengths available and they both look fab. 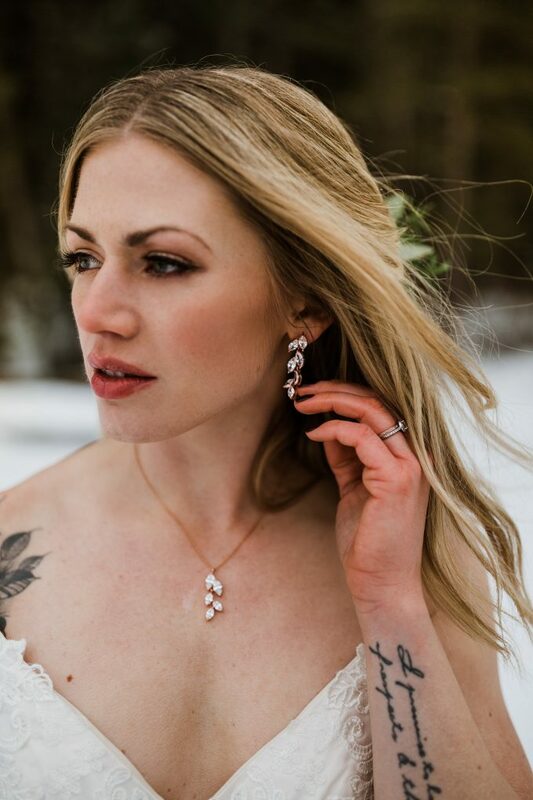 In addition to these earrings which look amazing on their own, you can pair them with matching bracelet and necklaces for a complete bridal set. 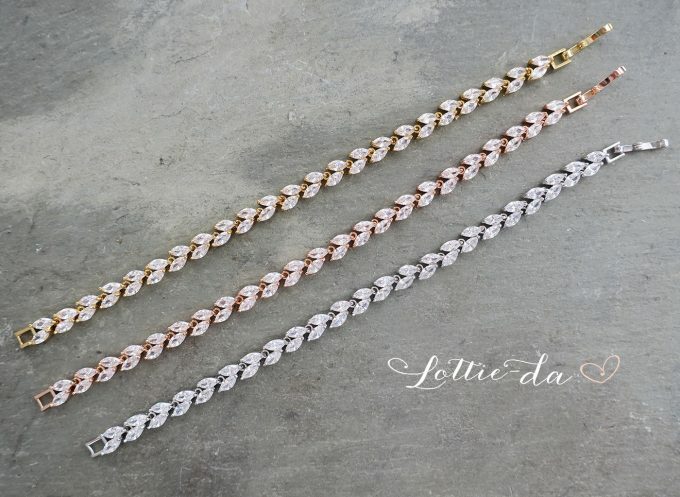 Choose yellow gold, champagne gold, rose gold, or silver metal finishes. 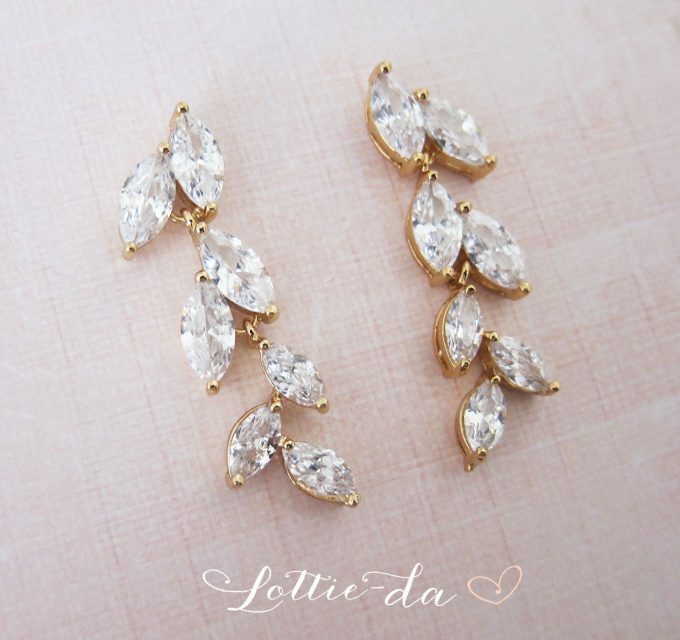 They’ll look great with any wedding theme: boho, rustic, glam, modern, vintage — you name it. Want a set of your own? 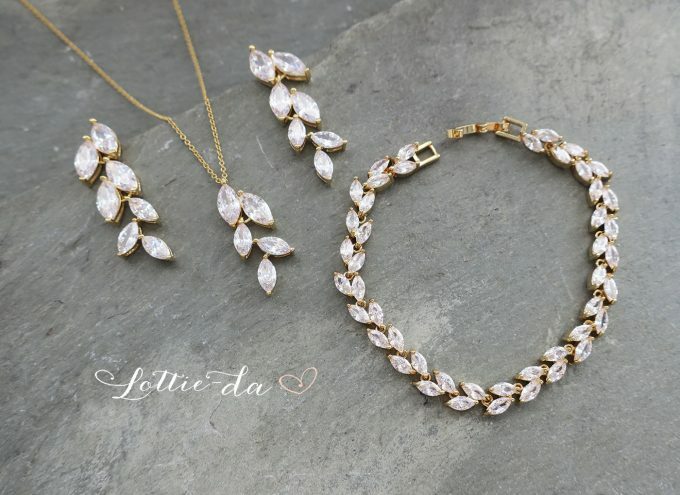 Curious about other jewelry pieces like these? 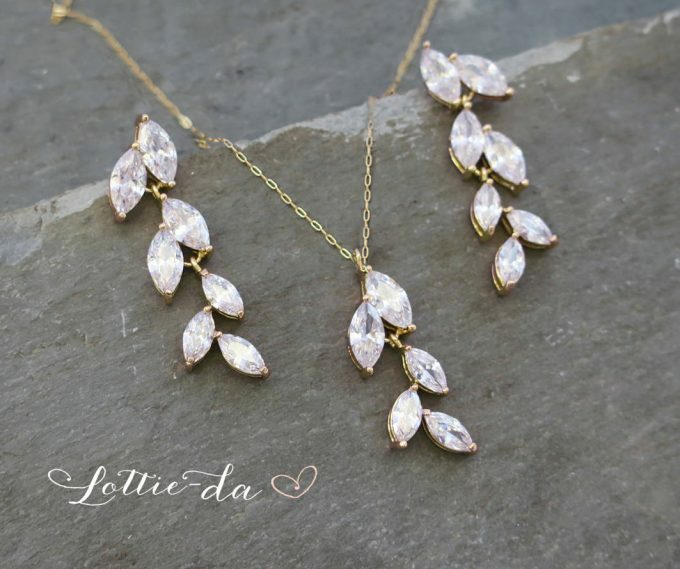 Visit LottieDa Designs here to see more! You may also be interested in our latest feature on this bridal comb to go with your wedding veil. I’m still obsessing over that, tbh.